Amazon now this highly rated Melissa & Doug K’s Kids Take-Along Shape Sorter Baby Toy price cut for just $12.88 (Best Price)! 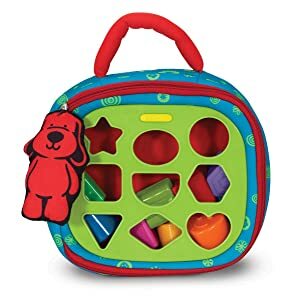 This Melissa & Doug toy includes a padded case with 2 activity sides and take-along handle plus 9 shaped, textured blocks in 9 colors and crinkly flaps with pictures! This has received a 4.5 out of 5 star rating from over 200 customers with great reviews! Amazon 现在 this highly rated Melissa and Doug Play Money Set 降价 for only $12.99 (regularly $19.99). 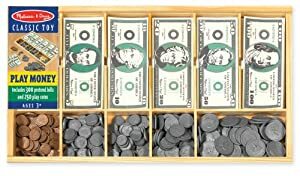 Teach your kiddos the value of the dollar。 This play money set has dozens of pretend bills from $1 to $100 as well as play coins in all US denominations. Kids can learn to count money, play banker or cashier and can store money securely in a wooden cash drawer. Amazon.com 现在 this Melissa & Doug Deluxe Wooden Railway Train Set on sale for ONLY $50.43 shipped (regularly $67.24). For comparison, Walmart.com is currently selling this same set for $67.24 and Target.com has it for a whopping $93.99. 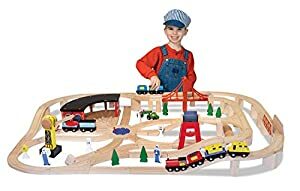 This set includes nearly 100 wooden track sections and supports and over 30 accessories including a freight train, passenger train, and suspension bridge. It also offers four different track configurations! 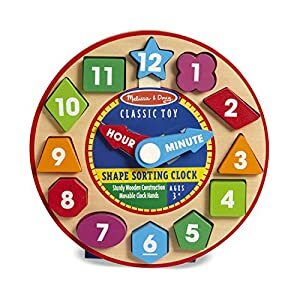 Amazon this highly rated Melissa & Doug Shape Sorting Clock price cut for for only $7.63 when you clip the 15% off digital coupon. This toy teaches fine motor skills, numbers, colors, shapes, and concepts of time and includes 12 shaped number pieces that fit into recessed wells. Amazon.com now get this Melissa & Doug Lock and Roll Rescue Garage for just $12.99 (regularly $24.99)! 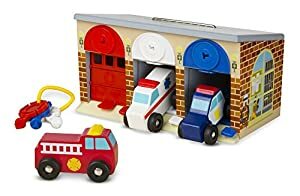 This adorable set includes three wooden rescue vehicles, a garage with locking color-matching doors, and keys. The handle on the top makes it easy for kids to move it from room to room. Amazon.com now you can get this Melissa & Doug Take-Along Wooden Doorbell Dollhouse for only $14.99 (regularly $25+) – that’s 41% off the regular price and the lowest price it’s ever been! 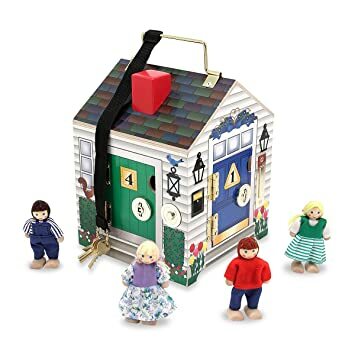 This cute dollhouse features four electronic doorbell sounds, four unique locks with matching keys, and four pose-able play people. The keys are attached to the house (YAY!) so they won’t get lost and the locks help keep everything inside. Amazon.com now you can get this Melissa & Doug Best Friends Forever Deluxe Magnetic Dress-Up Play Set for only $18.79 (regularly $29.99). 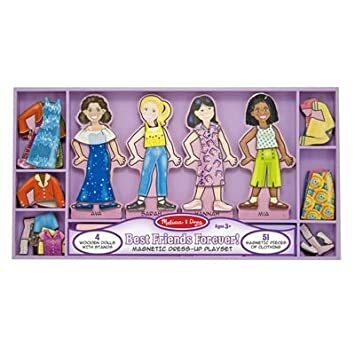 This set has 55-pieces for hours of dress-up fun mixing and matching clothing and accessories with the four dolls. This would be great to grab for your gift closet! 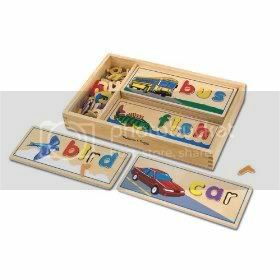 Amazon.com now you can get this Melissa & Doug Let’s Play House Dust! Sweep! Mop! 6-piece Pretend Play Set for just $14.98 (regularly $29.99) – lowest price ever! This pretend play set includes a broom, mop, duster, dust pan, brush and storage stand. The solid wood handles offer a realistic look and the broom and hand brush have soft bristles so your kiddos can clean just like you! On Walmart.com you can now get this Melissa & Doug Turn & Tell Wooden Clock for just $8.15 – perfect for kids who are ready to learn to tell time! This learning clock features hands that rotate with a gentle click marking off the minutes as they go. The detailed clock face has large red numbers to match the hour hand, small blue numbers to match the minute hand and a segmented color disk to help kids visualize quarter past and half past. Amazon where you can now get this Melissa & Doug Top and Bake Wooden Pizza Counter Play Food Set for just $27.75 (regularly $49.99) – lowest price! 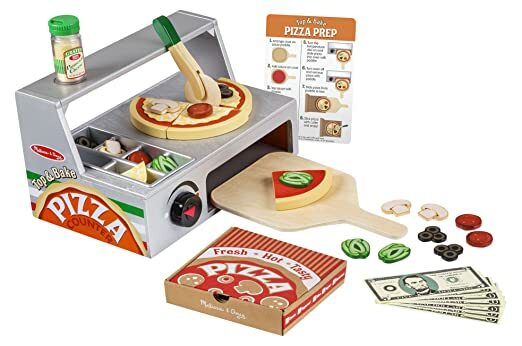 This 34-piece wooden play pizza-making set lets your kiddos add toppings then bake their own pretend pizzas. 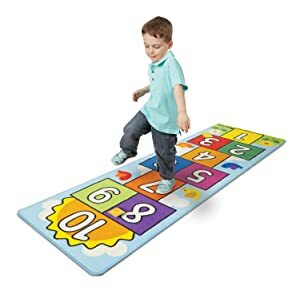 This is a great toy for working on fine motor skills, counting, sorting, and imaginative play!